A320-CEO, A320-NEO, A330, A380, ATR, TLS Watch Daily Mov. TLS ground movements provided by John Spencer. 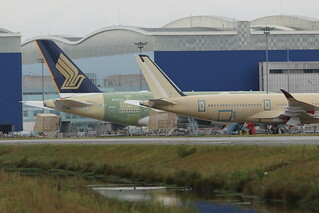 F-WWSS / 9V-SKW msn 251 for Singapore Airlines towed to flightline.